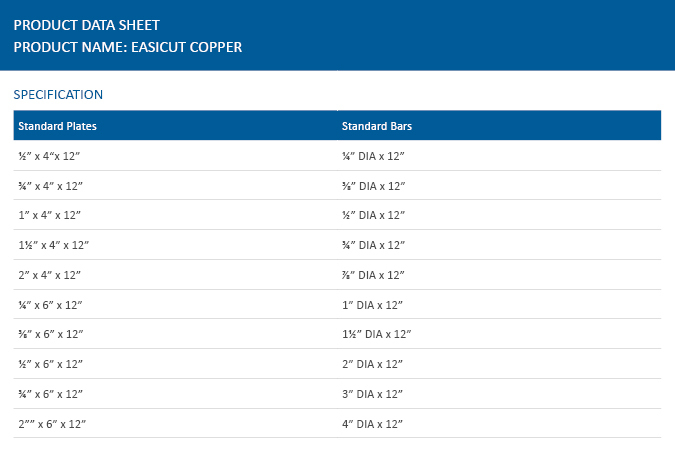 Easicut copper is an excellent alternative to HDHC that offers free machining qualities, while maintaining good EDM characteristics. Easicut copper solves machining difficulties often experienced when milling, drilling and turning conventional copper. Click here for standard sizes. Other sizes are available, please contact Erodex for more information.